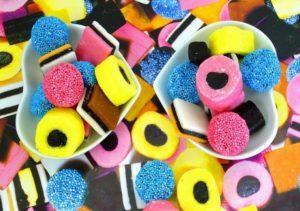 Licorice is commonly known as a type of gummy candy. What you might not know is that licorice root, the plant that licorice flavoring comes from, also has many natural healing and health-related benefits. It all began with the ancient Egyptians, who commonly used licorice, or Glycyrrhiza glabra as they called it, as a cure-all medicine. Most often, the Egyptians would brew it and drink it as a tea. Today, we still acknowledge the natural benefits of licorice root and how it can be used in our daily lives. Keep reading to discover how you can use licorice root. Just like the Egyptians, we commonly use licorice root as a cure for an upset stomach. Thanks to its anti-inflammatory and immune-boosting properties, the glycyrrhizic acid found in licorice has been proven to soothe and heal a stomach suffering from food poisoning, stomach ulcers, and heartburn. For stomach issues, licorice root is best consumed as a tea. #1 Add one tablespoon of licorice root for every one cup of water, and bring the water to a boil. #2 Simmer for 10 minutes. Licorice is great for your immune system. It enhances your immune system by boosting levels of interferon, a key immune system chemical that fights off attacking viruses. As an added bonus, it also contains powerful antioxidants that keep your body healthy. Add licorice into your diet by consuming it as a tea, or use chewable licorice supplements. Licorice is often used as a successful dermatological treatment due to its antibacterial properties. These properties give it the power to keep skin clean, clear up bacterial and fungal infections, and even treat serious skin problems like eczema. On top of its antibacterial properties, it can also help control redness, flushing, and other types of skin inflammation. When used for cosmetic purposes, licorice is typically purchased in the form of a topical gel. You can also find licorice oils that can be applied directly to the skin. Licorice eases congestion and coughing during a cold by loosening and thinning the mucus in your chest. This makes it easier to clear phlegm and mucus out of your airways. In addition to clearing out your airways it also helps reduce bronchial spasms so you cough less. When it comes to treating respiratory ailments, licorice root is typically consumed as an oral supplement. It is, however, also beneficial to consume it as a tea. Your adrenal glands, also known as stress glands, are the body’s response system for emotional, physical, or chemical stress. And when your adrenal glands are constantly stressed out, they have a hard time producing cortisol, adrenaline, and other important hormones. One of the primary active compounds in licorice root is glycyrrhizin. This chemical helps naturally balance your body’s cortisol levels. When hormone levels are balanced, your stress levels lower. A liquid licorice supplement is the most effective way to get your body the hormone-balancing nutrient it needs. If you’re unable to take a supplement, try brewing a cup of licorice tea. As always, please check with your doctor before you start any new supplements. There are many plants that offer natural health benefits. Learn more about Aloe Vera and how it can also help keep you healthy.